An honour roll commemorates those from the Mangana State School and district who served in World War One. 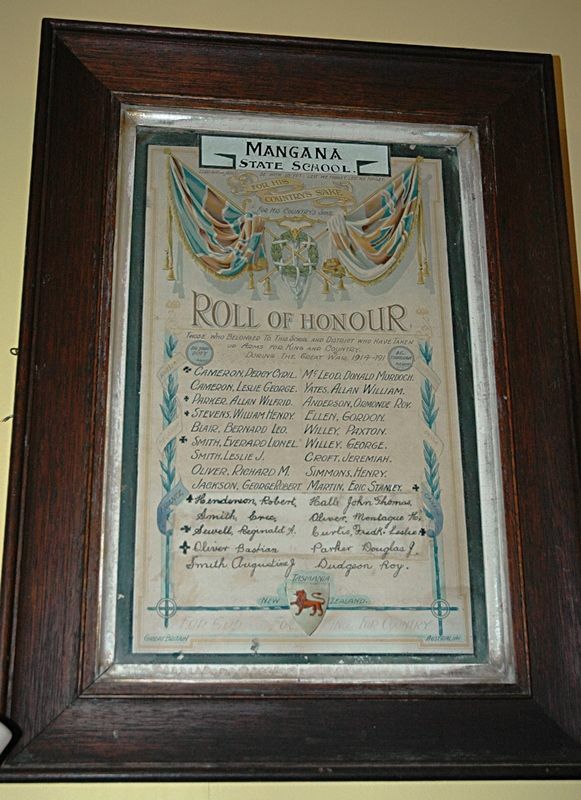 The Honour Roll is a framed hand written roll. At the top are crossed Union Jack and White Ensign flags and at the bottom is a shield which shows the red lion of Tasmania and surrounded with the words "Tasmania", "New Zealand", "Great Britain" and "Australia".